Walk in registrations welcomed! Cash or Check only. Please contact Samantha Sichak at if you want to register for this camp. The Apex Friendship Cheerleading teams are hosting our holiday cheerleading camp for any students in grades K-8. The camp will be held on Saturday, December 15th at Carolina Legacy. Participants will learn to cheer, chant, jump, dance, stunt and tumble! 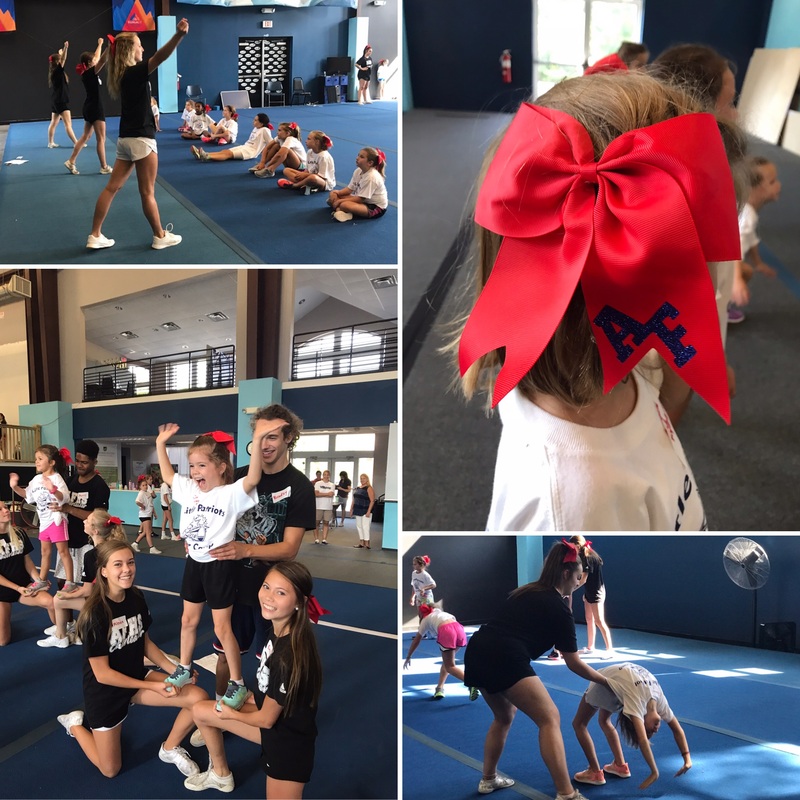 Participants will also receive a cheer shirt, and cheerleading bow. We will do a small performance for parents at the end of camp. Cost is $50 and all proceeds go towards the Apex Friendship Cheerleading Program. No refunds. To sign-up, download, print and complete both waivers, and pay the fee. We contact you closer to camp with information through your email associated with you paypal account. Please direct any questions to Samantha Sichak at . Complete/sign these documents and bring them with you to submit on the first day of camp. Please use the link below to pay. Please add a note and state your child’s name, age and t-shirt size.